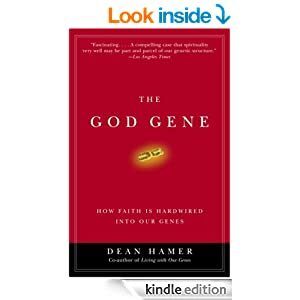 I’ve talked before about meditation and how it has helped me in my weight loss journey, but after reading The God Gene, I now know WHY it’s so helpful. Just as I suspected, there are aspects of our brains that can cause the feeling of “Other” or a presence. When we access these parts of our brains, it feels good. The crux of all twelve step programs is recreating a spiritual awakening. For many people, that feels like God, but no matter what it feels like, it is actually our brains producing chemicals. How able our brains can do that for us is partially dependent on our genetic makeup, but it’s not an all-or-nothing genetic roll of the dice. It’s more like height. Some people are tall. Some people are extremely sensitive to those chemicals that create spiritual experiences. No matter where your brain is on the continuum, it is within your best interest to cultivate and strengthen this long-neglected part of your mind. That feeling of self-transcendence is what has kept alcoholics away from the bottle since the beginning of Alcoholics Anonymous. And having a spiritual awakening is your first step toward eating healthy every single day with no binges, purges or starving. Overeaters Anonymous and Alcoholics Anonymous do not endorse anything on this entry or blog.